Don’t know about you, but I fully intend to be CUTE when I’m 90, cute, spry and agile! Perhaps because I’ve been blessed with more than a couple 90 plus friends who’ve shown me what we have to look forward to; or because I have faith in the human body’s ability to achieve a long life when properly cared for. True, there are many unavoidable consequences of aging- reduced production of vital bodily chemicals, resulting in the probable decline of things such as bone density, joint flexibility, metabolic efficiency and physical resilience, to name a few. But we are not powerless to affect change in the aging process. In fact much can be done to slow and even offset these effects. Accepting the need to change our ways with the times, maintaining healthy diet and exercise habits, keeping our vices in check, and staying abreast of our states of health are all at the top of the list. And for many, a particular class of nutrients has nestled right beneath. The OPCs-oligomeric proanthocyanidans. What a mouthful! Thank goodness for the abbreviation. OPCs are a sub-group of the powerfully antioxidant, organic chemicals called flavonoids. They have more than 50 times the potency of Vitamin E and 20 times that of Vitamin C. This is partly due to their high level of bioavailability, short fancy speak for the physiological availability of a nutrient. They are natural substances that can be found in many foods, primarily plant-based ones. The body absorbs them quickly because of their water-soluble nature. Because necessary biological processes occur from chemical reactions, free radicals are not the bad guys. But one does go on to produce another, and so on; and like all things, too many of them can create a dangerous environment, especially for our cells. Additionally OPCs act as anti-inflammatorys by reducing the body’s production of histamine; anti-aging agents by repairing and strengthening the body’s connective tissues (joints, ligaments, tendons, etc.) and cardiovascular system; and immune enhancers by inhibiting certain viruses. Two of the most potent OPCs are Pycnogenol and grape seed extract. Pycnogenol is the trademarked name for an extract of the bark from the French coastal Maritime Pine Tree. It is especially beneficial to circulatory health, helping to strengthen blood vessel integrity. Maintaining healthy, strong blood vessels helps to keep the blood and therefore oxygen flowing freely to the heart. Along with those health benefits, the side bonuses can include reduced occurrence or appearance of varicose and spider veins and decreased darkness of bruises and skin discolorations. Pycnogenol’s ability to enhance circulation also makes it useful for exercisers, both pre and post. The additional blood and oxygen fuel the muscles and prime them for longer bouts of activity, and the antioxidant regenerating capabilities help the body recover from the oxidative stress created by more intense and longer duration activities. Pycnogenol is unique because this pine bark extract is composed of such a high percentage, as much as 65-75%, of procyanidans (part of the antioxidant group known as proanthocyanidans). Procyanidins, as previously mentioned, are able to increase cellular levels of Vitamin C and E. They are also able to bond with collagen and thereby help maintain the elasticity of our skin, joints, hair and nails and the health of our bones, gums and teeth. Grape seed extract, also a strong source of procyanidans, is pulled from various types of grapes, though it is thought that the wine-producing ones offer the greatest health benefits. 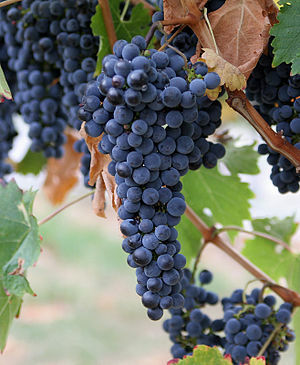 Among other beneficial nutrients, grape seeds also contain the substance resveratrol. Resveratrol is present in both the skin and seeds of wine-producing grapes. In scientific studies it has demonstrated cardio protective potential, decreasing LDL cholesterol (potentially artery clogging low- density lipoprotein) levels and preventing blood clots and blood vessel damage. Resveratrol has been given credit for the low incidence of heart disease experienced by the French despite the relatively high consumption of rich and fatty foods and prevalence of cigarette smoking within their culture. In addition to enhancing heart health, resveratrol also has its own reputation for enhancing physical beauty by helping the body renew damaged skin and worn muscle fibers. Pycnogenol and grape seed extract are not the only OPC containing foods. Procyanidans can also be found in apples (the highest amounts in Red Delicious and Granny Smiths), cinnamon, cocoa beans, green tea, bilberries, cranberries, black currants and acai oil pressed from the fruits of the acai palm. Resveratrol is present in peanuts (sprouted nuts yield higher amounts), blueberries and cocoa powder among other foods. Adding these foods to your diet is easy enough, but if you’d rather supplement the nutrients there are many ways to do so. Pycnogenol is available in capsule form, in a range of dosages. It is not inexpensive, so it’s totally appropriate to supplement it conservatively. For circulatory benefits and general wellness enhancement, I currently take one 30mg capsule before bed. Doses can be as high 200mg twice daily for assistance with muscular endurance and blood pressure reduction. But this should be advised by a physician or other qualified health care practitioner. Pycnogenol should not be taken by pregnant or nursing women or people taking immune-suppressing medications. Grape seed extract and resveratrol are available in both capsule and liquid forms as well as chews and gummies. As these are not essential nutrients, there is no set recommended dosage. Like all supplemental nutrients, you want to look for the purest products that clearly state what percentage of that nutrient is contained in them. For both grape seed extract and resveratrol, that may be anywhere from 50mg to 500mg per serving. Some resveratrol studies have indicated that people in their 20’s can benefit from 100-200mg/day, with those in their 30’s safely supplementing 200-300 mg and people 40 years of age and older seeing the greatest results from the higher doses of 450-500mg/day. Currently there are no known adverse side effects, even in high daily doses. But, like Pynogenol, pregnant and nursing women should avoid supplementation until further research is available. I think that’ll do for now folks. Be sure to make some time to take a load off, kick up your feet, and turn back the clock with a little indulgence.